NEW YORK/SHANGHAI (Reuters) - Shares in U.S. multi-level marketing (MLM) companies Herbalife Ltd, NU Skin Enterprises Inc and USANA Health Sciences Inc tumbled in high volume on Monday after a Chinese government regulator announced a crackdown on pyramid schemes. Herbalife (HLF.N) dropped more than 5 percent to end at a three-month low of $62.42, Nu Skin (NUS.N) fell over 7 percent to $56.01, the lowest close since May 31. Direct-seller USANA Health Sciences (USNA.N) tumbled 7.5 percent to $54.40, its lowest close since mid April. Herbalife declined to comment. Calls to Nu Skin's Shanghai office and the Hong Kong office of USANA on Tuesday were not answered. The SAIC's crackdown comes shortly after the country experienced an outpouring of anger online towards pyramid schemes following the death of a young Chinese university graduate who fell victim to such a scheme on a job-seeking website. Operators of pyramid schemes typically make money by recruiting members, who pay fees to act as salespeople of goods such as health supplements, rather than relying on the sale of the goods themselves. The regulator said in its statement that MLM activities in China were causing widespread concern as people were being misled into participating and had suffered serious damages as a result. The crackdown, which will also involve the Chinese police and education ministry, will investigate MLM firms and their recruitment methods especially those targeted at college students and job seekers. Firms and networks found to have committed violations will be punished and broken up, it added. Shares in the three U.S. firms fell in much larger than usual trading volume. 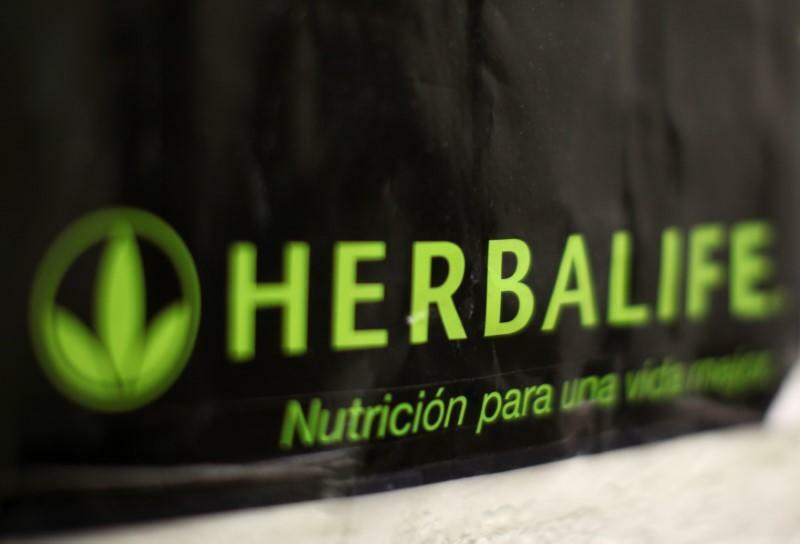 China accounted for about 11 percent of Herbalife's revenue in the second quarter. The report comes as big-name fund managers disclosed their holdings as of the end of last quarter, with Herbalife stock sometimes caught in the middle of large bets. Capital Group Cos Inc filings on Monday showed its Herbalife stock holdings fell by 80 percent to 275,000 shares during the June 30 quarter. The company manages American Funds. Soros Fund Management dissolved a 5,100-share stake in Herbalife, filings showed. Investor William Ackman is famously short Herbalife, saying it will crumble under regulatory scrutiny for what he has called a pyramid scheme. Herbalife has vehemently denied that claim. Even after Monday's drop, Herbalife stock remained up nearly 30 percent in 2017 and Nu Skin had gained 17.2 percent. USANA in 2017 has lost 11.1 percent.